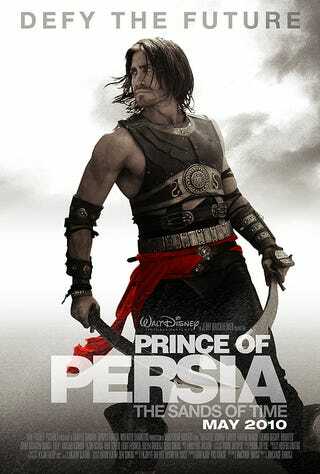 While a preview poster went up last year for Jerry Bruckheimer's upcoming Prince of Persia flick, it was just a tease. A logo and not much else. Today, Empire gives us our first look at some real posters. Not what you'd expect, are they? Really clean, and modern. No tacky "Persian" logo, no silly pose modelled off a game cover. Nothing tipping you off to the fact this is a movie based on a video game series. Which, after Max Payne and Hitman, is probably a smart way of going about it.